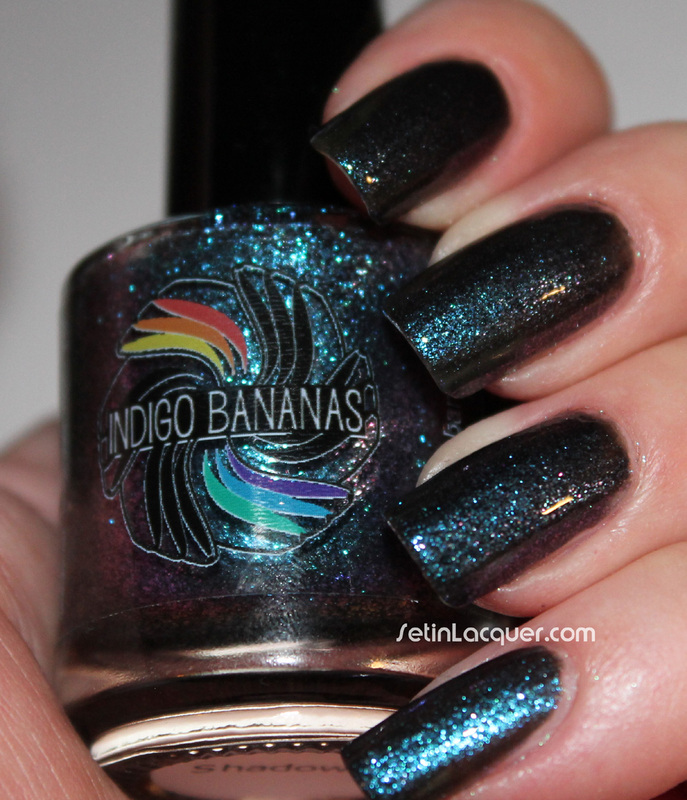 I have some new to me Indie polishes to share with you today - Indigo Bananas. These polishes applied wonderfully! They look similar in the bottles but they each have a personality of their own. Even though that personality did its best to hide from the camera. These polishes are sparkly duochromes. I will share the swatches with you and do my best to describe the other facets that don't show in the photos. Two coats of these polishes provided opacity, shimmer and shine. Maui - is a gorgeous sparkly blue polish that shifts to a rose and purple shade in the light. Two coats of this polish provided complete opacity. 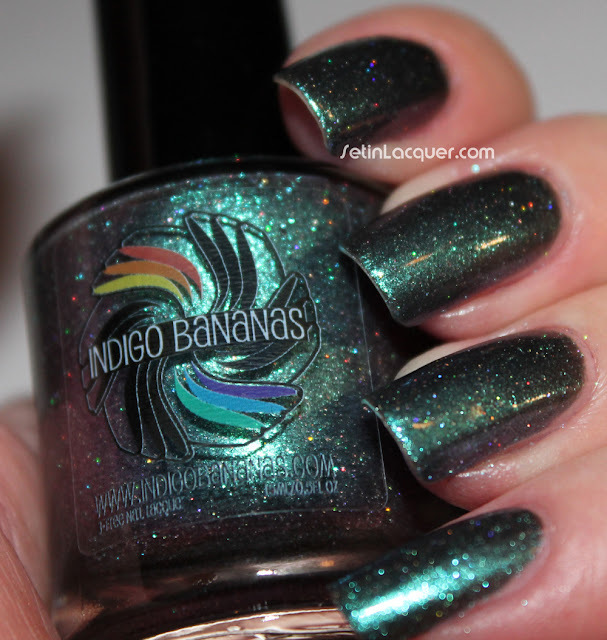 The polish has tons of micro shimmer to it making for a wonderfully dimensional manicure. 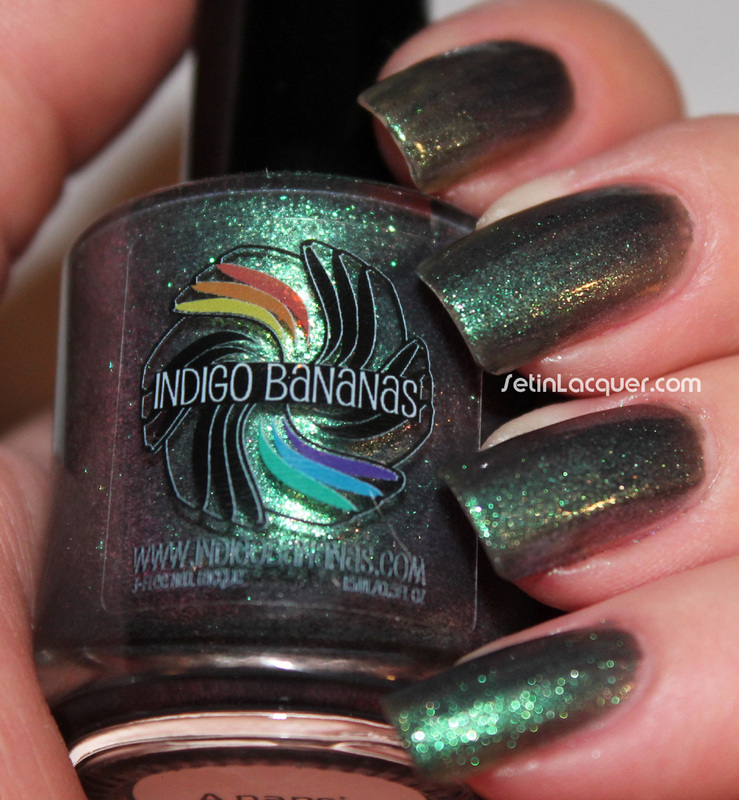 Anansi - is a wonderful sparkly green shade that shifts to purple in the light. It is chocked full of shimmer and shine. 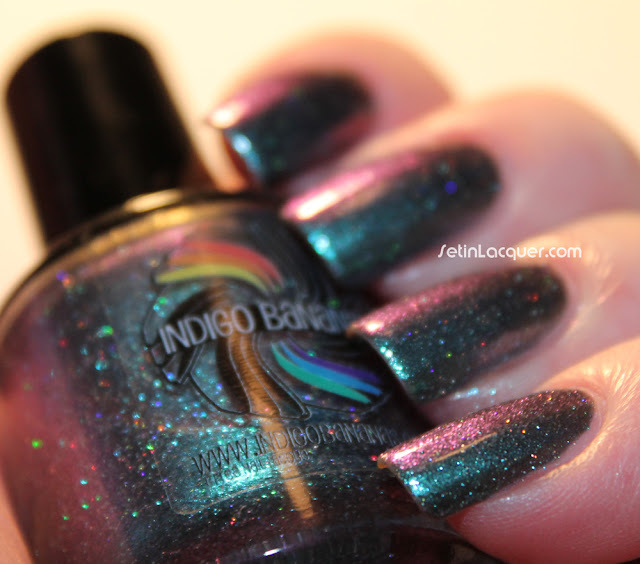 Shadow - is a gorgeous, shiny purple or blue (It really depends on the lighting. I couldn't capture the purple.) It also shifts to a purple shade depending on the lighting. Catching all of the shimmery goodness of this polish was impossible. 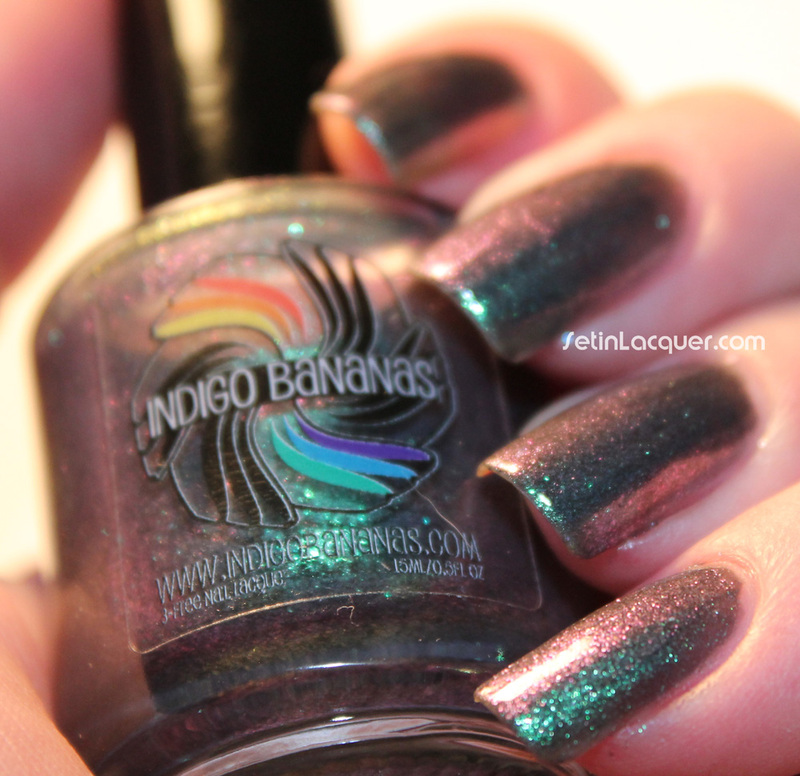 Indigo Bananas polishes are a delightful indie polish. She has lots of different types on her Etsy page. These polishes can be purchase for $10 for a full size bottle or $4.50 for a mini bottle. Make sure to follow her on her Facebook page to keep up with new releases and product information.